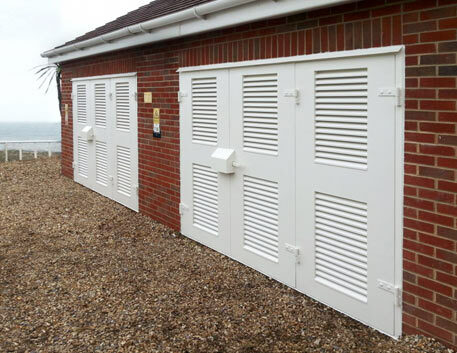 The Sunray Heavy Duty range is made from 6mm Steel plate and the doors are available as a solid panel or louvred option. 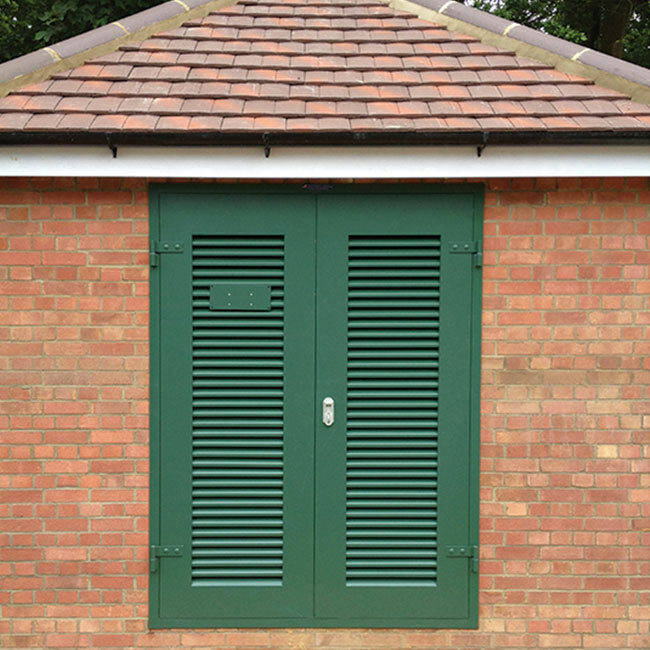 We use maintenance free hinges as standard and can provide a number of locking and panic hardware options. Double doorset with louvred panels. Through-frame or 3-hole fixing options available. Available as single or multi-leaf doorset. 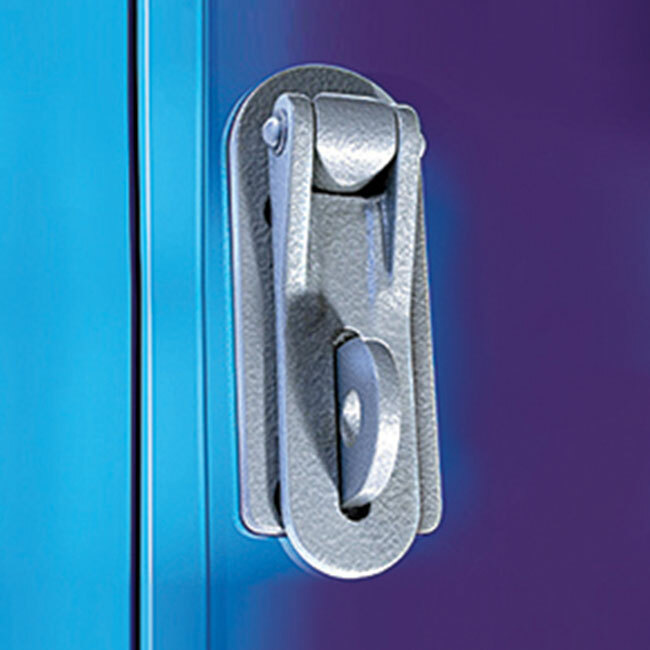 Operational flexibility – different locking options available. Plain or louvred door leafs and over panels. All leaves are made from 6mm thick steel plate with louvre blades, if required, formed from 2.5mm thick steel welded in. Red oxide primer as standard or there is the option of a wide selection of powder coated colours from our own factory powder coating facility. 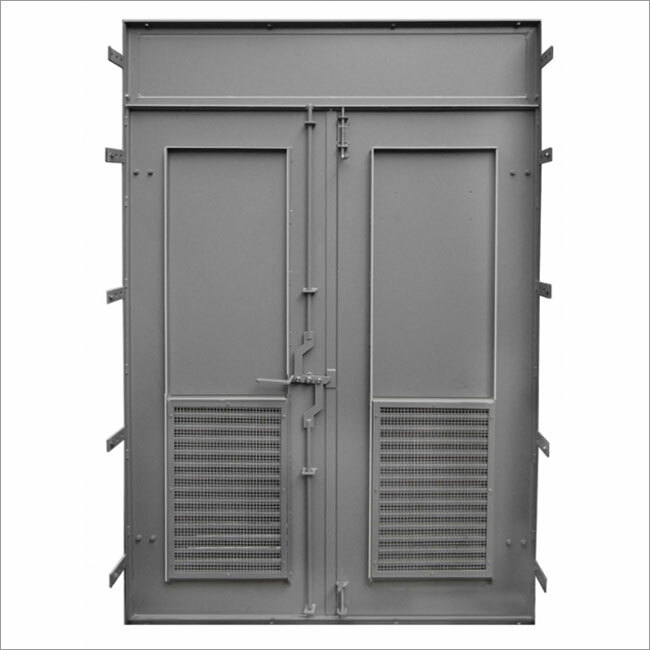 For a plant access door with no external entry an internal hasp and staple and dropbolts are recommended. 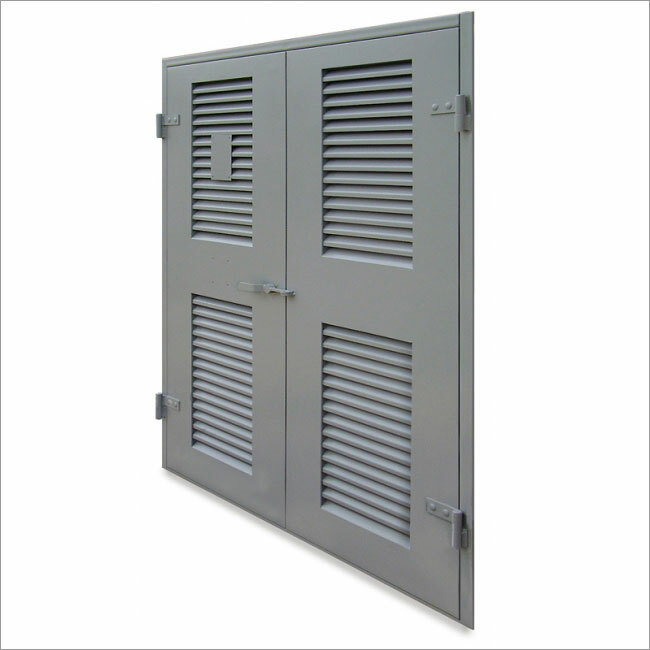 If panic escape is required a full width panic bar or push pad can be fitted with external entry via Sunray 6000 hasp and staple. For increased security a 3-point locking system with padlockable handle can be used. Other variations may be provided on request. 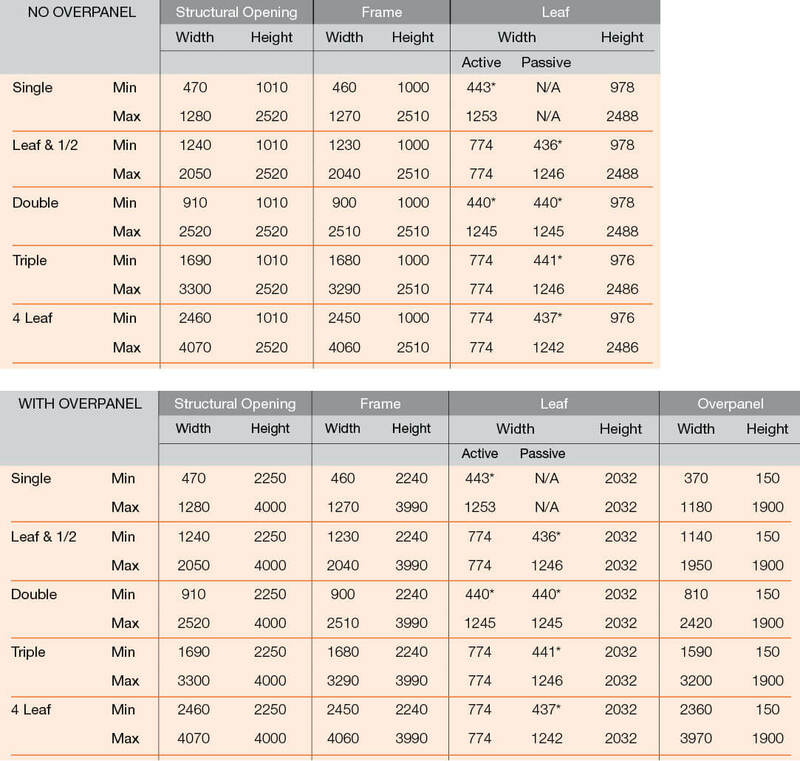 Non-standard sizes can be manufactured to suit site requirements (see chart opposite). Single doors can be right or left hand hung. Double doors can be right or left hand active leaf. Clearances are deducted in manufacture to ensure fit. If the threshold is not sitting on the slab edge, a step of 150mm will be required (with angle frame option). Sunday 6000 hasp and staple. 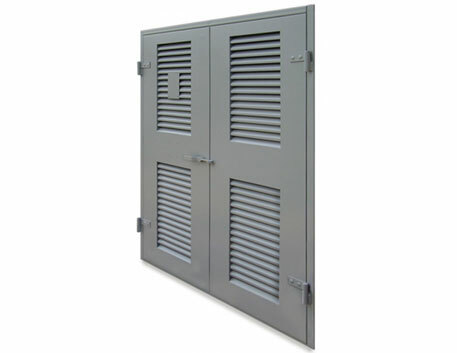 Double, outward opening louvred door with plain overpanel. 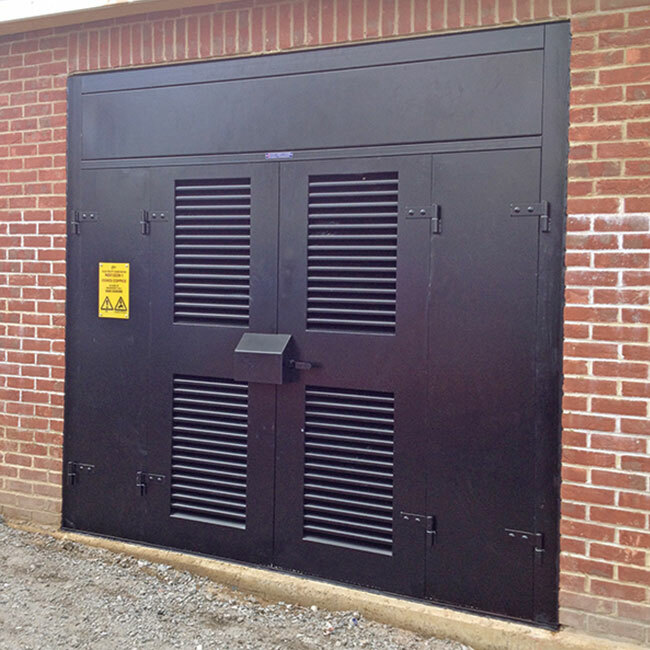 Heavy Duty Doors on transformer building. 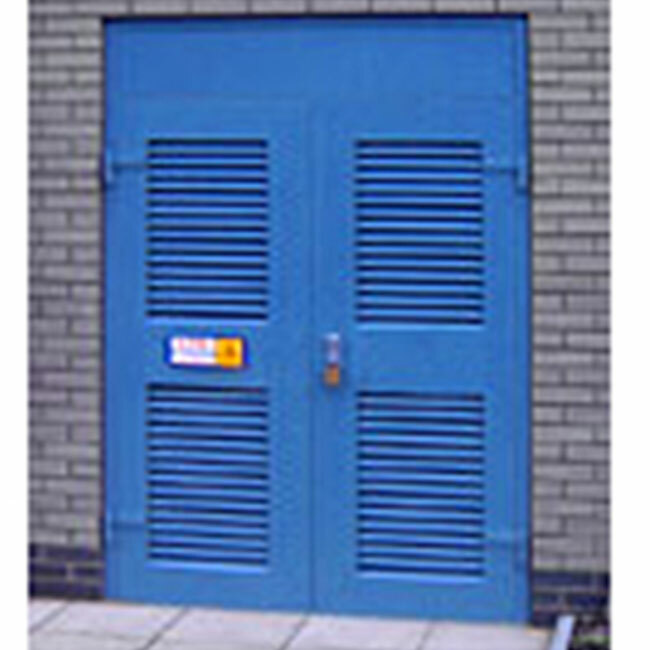 Bi-fold Heavy Duty Doors with ventilated inner leaves and full width over panel including optional lock protection shroud.